Sixteen-year-old Jessica is a runner. It's not just what she does, it's who she is. So when a tragic accident causes her to lose one of her legs, she is shattered - inside and out. Though doctors say she'll be able to walk again with a prosthetic leg, recovery is slow and full of pitfalls. Jessica wonders if the girl who died in the accident didn't get the better end of the deal. But as she struggles to reclaim her life, Jessica gets to know Rosa - a girl with cerebral palsy whom she and her friends always overlooked. Not only does Rosa come to Jessica's rescue in math, she also helps her to reach for a future that is full of unexpected opportunities. And Jessica starts to wonder: Is it possible not only to walk again, but to run? 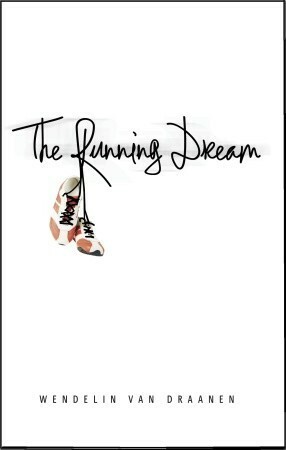 I bought The Running Dream on a whim over the summer, and I am so glad that I finally read it! Jessica is a very accessible character, especially considering what she's gone through, and I admired her spirit even though she was quite depressed in the beginning. (Who wouldn't be after losing a leg?) I teared up during a few points of the story. I loved how supportive her pre-accident best friend, Fiona, is and how she didn't let Jessica get away with being completely sorry for herself. I loved Jessica's track teammates. I especially loved the friendship between Jessica and Rosa and how it really made Jessica think of something besides herself and her lost leg. I thought this book would be depressing, but van Draanen manages to make this a frank but easy read. (It helps that Jessica is in such good shape and recovers quickly.) I really enjoyed it! If you've read this book and are looking for something sort of similar, try All We Know of Heaven by Jacquelyn Mitchard. No one loses a leg in that one, but there is a bad accident, recovery from head trauma, and an amazing plot twist that is based on a true story. No problem! My biggest question about issue books is whether they're so depressing that I'm going to want to curl up and cry afterwards, so I'm always excited when I find a good one like The Running Dream!